Create a fabulous exotic look, in your garden or on your patio, with our glorious hardy Hibiscus 'Hamabo' standard lollipop from tree - years of fabulous late summer floral displays from this ever so easy to grow tree. 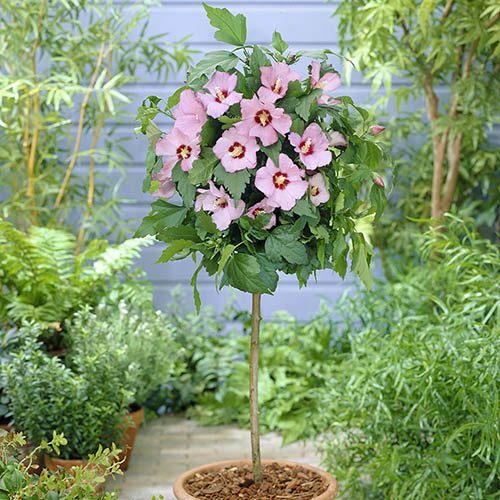 Supplied as a 1M tall tree, with a standard lollipop head c. 30cm across with clear stem, in 3L pot. Dormant in Winter, so supplied without leaves October - April.